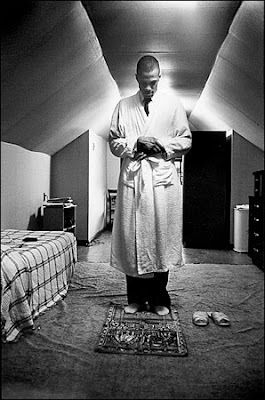 I just penned a libation for Brother Malcolm X, El-Hajj Malik El-Shabazz, Omowale at There Is No Spoon. Here is an excerpt, it’s a short one, so please read, reflect and comment. 44 years ago to the day, Malcolm X also known as El Hajj Malik El Shabazz and Omowale, was ushered into the ancestors by assassins bullets. There are many ways to honor an ancestor but I thought it important that I honor the legacy of Brother Malcolm by calling on some of his most important lessons in the names of three recent ancestors lost: Oscar Grant, Adolph Grimes, and Robbie Tolan who were all recently assassinated. There are also two event happening uptown to commemorate Brother Malcolm that folks should check out. One at the Schomburg: From Malcolm X to Barack Obama: The Legacy of Struggle and Inspiration this afternoon for the young folks and one at the Malcolm X and Betty Shabazz Center: 44/44: Killing the Messenger.